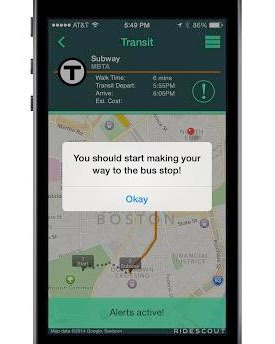 Looking for new ways to get to Back Bay? 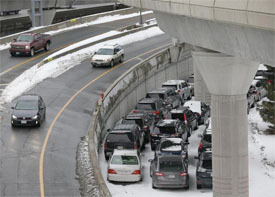 Massport believes that their new shuttle from Logan to Back Bay will provide an alternative to the T or Taxi service. The full article is available on the B&T website. What’s the fastest way to get there? I was leaving my office on Boylston Street Last week headed to the corner of High and Federal. My route was my standard one: hop on the T at Back Bay and head to Park Street then walk through Downtown Crossing down Summer to High. As I walked across Exeter Street at Boylston Street, I noticed a motorcycle rider on a Ducati, felt the warm day air, and thought, Spring is burgeoning. As my trip progressed, I walked in front of 100 Summer Street and noticed the same rider on the same bike. Was my way quicker or did the rider stop for a coffee at Flat Black? Not sure, but I was rather impressed that the T scored the same speed as a motorcycle. If you’re unsure of the best route or means for a particular trip, check out RideScout, and see what’s your quickest path to your Boston destination. Additional details are available on the Boson Business Journal. Another new lease for the Downtown Crossing, this time its retail. Headquartered in Dublin Ireland, www.primark.com was founded in 1969 and today operates 250 store in eight countries. From Banker & Tradesman: “Fashion retailer Primark has signed a long-term lease for 112,000 square feet at the Burnham Building in the Millennium Tower complex at Boston’s Downtown Crossing…Dublin-based Primark’s first U.S. store will occupy four floors in the eight-story Burnham Building, including 70,000 square feet of retail floor space. One of our city’s most valued resources wasn’t always treated as such. Yes, our waterfront. Not only has this become a destination location for visitors, but now we have new residential communities and office buildings that are the new gateway to the water. 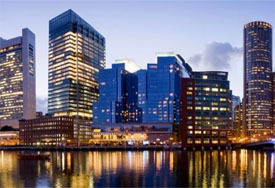 Bisnow offers a perspective on how the harbor used to be, and what it’s evolved into. The full article, including a comparison of ‘old’ Boston Harbor to a “men’s locker room”, is available here. 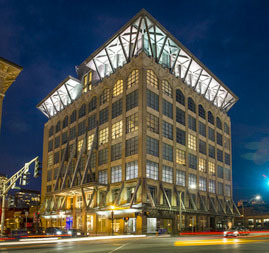 0	What Does Cool, Funky Office Space in Back Bay Look Like? What does cool funky space look like, or better yet how does it feel? The virtue of my business is to walk in and out of company offices daily and I must say that this one grabbed my attention as cool and funky. It isn’t so much as to the building or layout, but the culture that the company extends to its employees and customers. To read the full bostinno article, follow this link. This is a very interesting idea. I would love to see the results and read the texters’ suggestions; I imagine they would likely differ from the residents of the community. Either way, a great reach out program. We’re using our Twitter feed (@bradviors) to garner opinions on what you’d like to see occupy 360 Newbury Street. Tweet your suggestions using #360Newbury in your message. 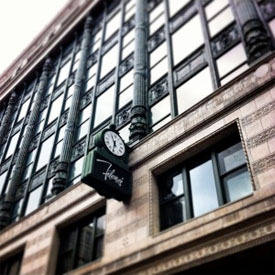 Tagged 360 Newbury St. in Back Bay, 360 Newbury Street, Boston Residents, What should fill Boston's storefront vacancies? 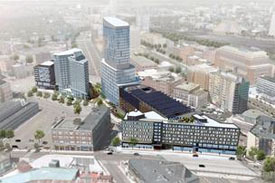 Mayor Walsh is looking to offer some reprieve to the Fenway Center Project. Will this stimulus be enough for the $550 million project to get off the ground? The residential and commercial market are both very strong and seem to be poised to continue upward; the real concern is the cost of construction. 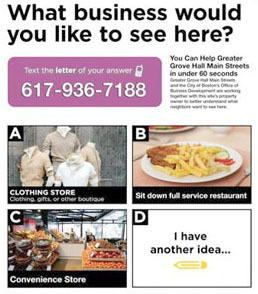 The full article is available on the Boston Business Journal’s website. If you commute from West of the city using the Pike, it seems that your drive to Boston could get shorter, well kind of. The now-shuttered rail yards at the Allston/Brighton exit is the focus of an undertaking that aims to straighten the Mass. Pike roadway in that area. 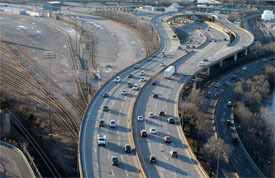 Details on the proposed highway project are available on the Boston Globe’s website. This will be a great addition to community and Greenway. 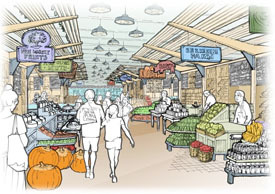 Looking forward to visiting when it goes live; the concept reminds me of the Ferry Plaza Farmers Market in San Francisco. 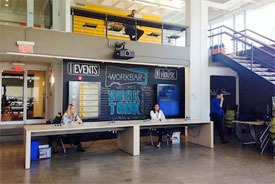 Co-working office spaces continue to create a platform where innovative ideas can turn into companies. Yes, I’m a fan of Shark Tank and I love how the show boils a product pitch down to five minutes from pitch to investment. Reporting on the local angle on the show, the BBJ notes that “entrepreneurs drove from New York, New Jersey and Connecticut to pitch their business ideas at Cambridge co-working space Workbar on Thursday in hopes of getting national exposure on ABC’s Shark Tank…About 100 people were standing in line an hour before pitches started. The growing interest and relevance of co-working office space in Cambridge is beneficial to both the entrepreneurs, who will spur future growth, as well as the environment and infrastructure that surrounds it. For details on the five selected entrepreneurs, read the full article on the Boston Business Journal.